SISTERS - "In January, my New Year's resolution was 'You're going to eat the right food.' But I lied to myself. It's hard to stop eating the food I like. 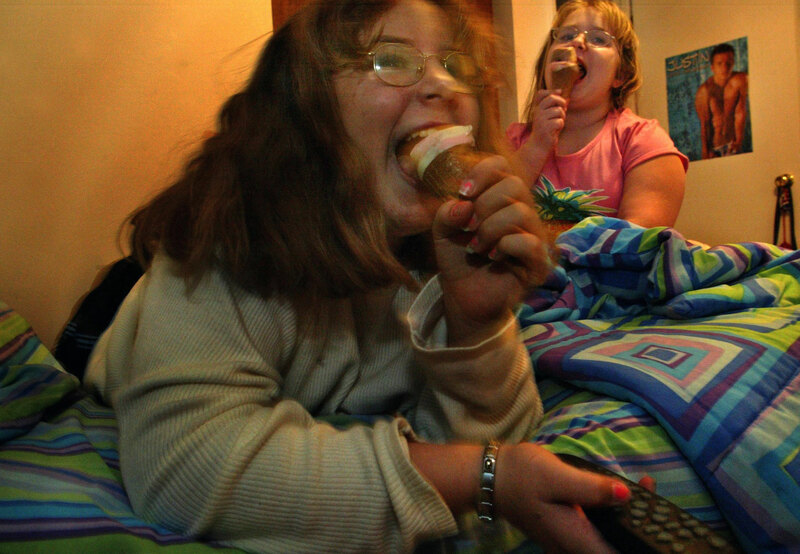 It's like I crave it all, pizza, ice cream," says Ashley Sheline,12, of Arnold, (right) as she watches a favorite wrestling show with her younger sister Taylor,10. The girls regularly snack until they go to bed at night.